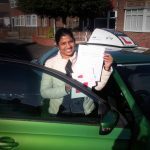 Expert driving tuition and coaching in automatic cars with a ridiculously over-qualified, local, A-grade, independent instructor. 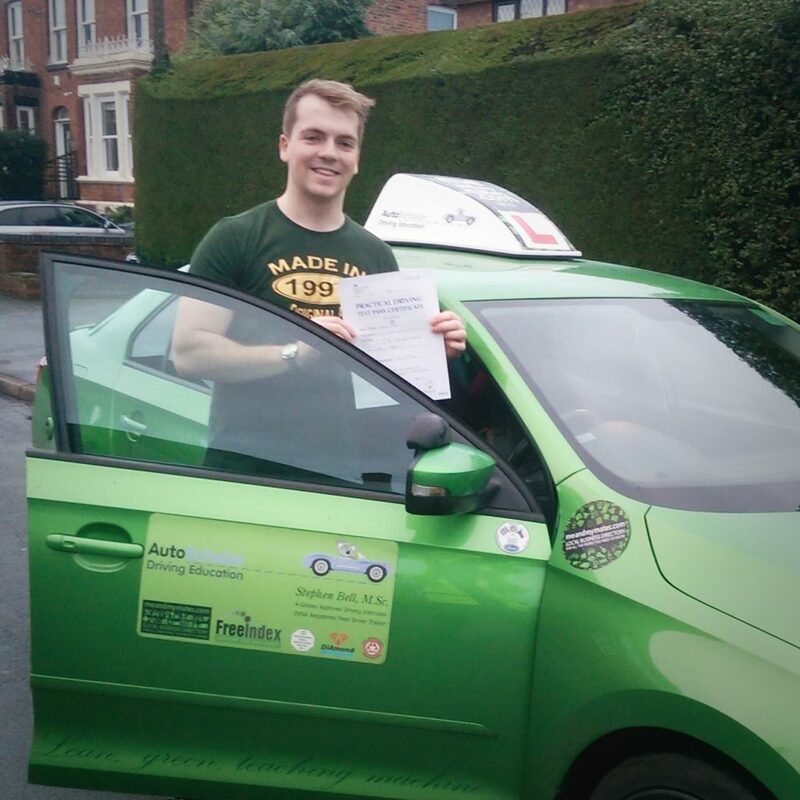 Stephen Bell, based in Sale, is a Masters graduate, a qualified high-school teacher (QTS), a DVSA A-graded Approved Driving Instructor and a Registered Fleet Driver Trainer. 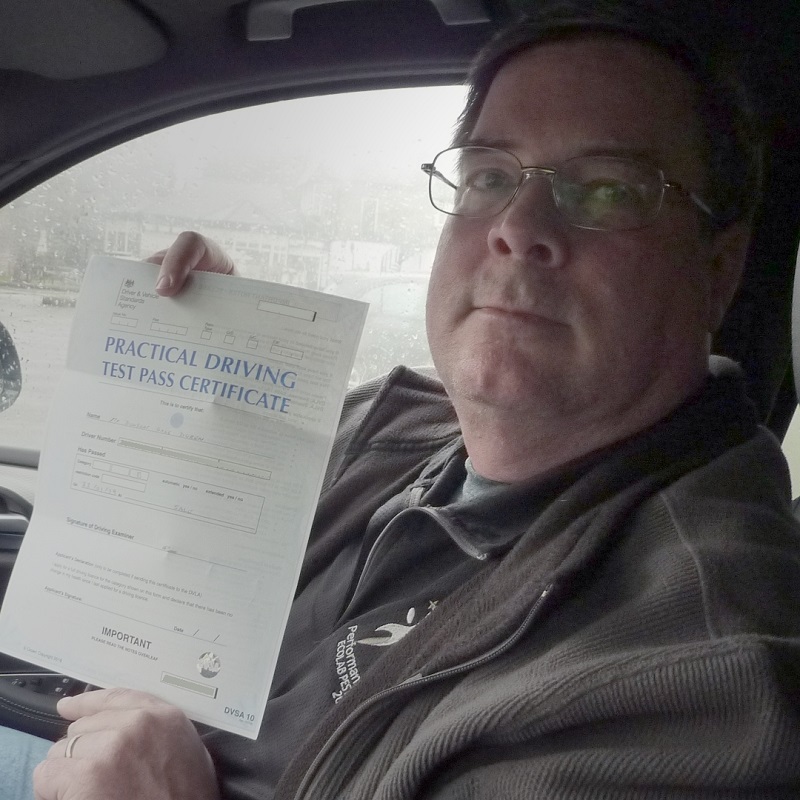 During his ten years as a driving teacher, Stephen has earned a reputation for patience, calmness and attention to detail. He is highly experienced in working with clients who are anxious, who have already had unfortunate experiences with driving or learning to drive, who have specific learning needs. Currently we’re offering tuition in cars with automatic transmission only. Give us a ring, drop us an email, get in touch! 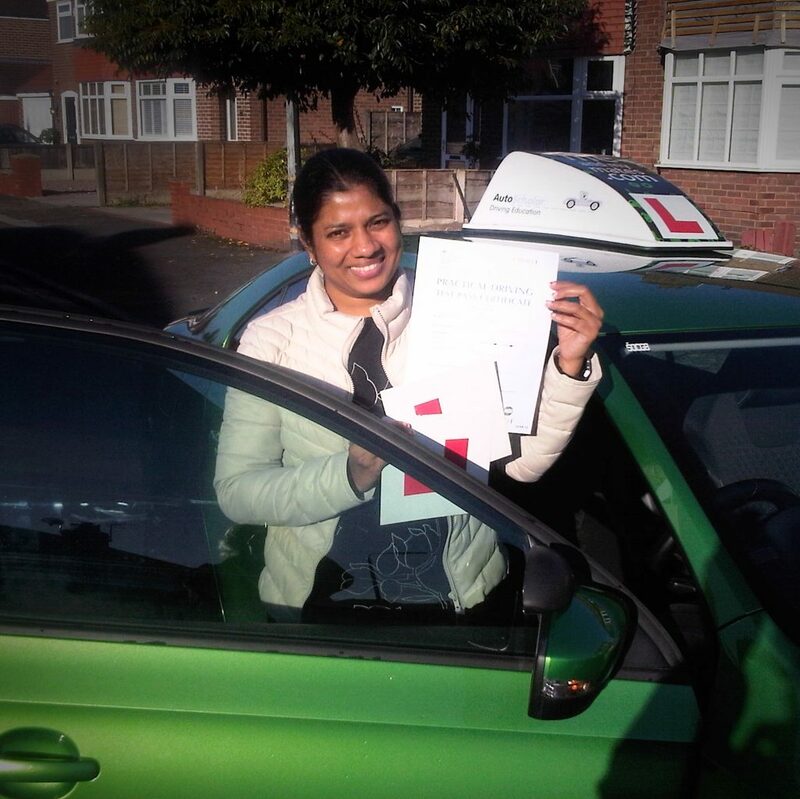 Let us help you to have a positive, happy experience of learning to drive! 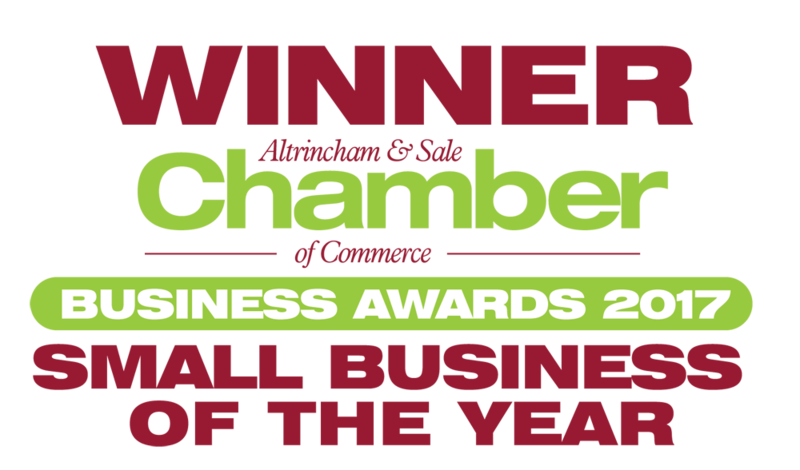 Business hours: Flexible; happy to discuss your availability and we’ll do our best to be there for you. Stephen is a fantastic instructor. Not because he helped prepare me for the test (which he did) but because he helped me improve my driving overall and to feel more comfortable driving in this foreign land! Despite the fact that I have driven for years and years in America, I finished my lessons with Stephen feeling like a better driver and I passed my exam with no errors. Win-Win! Thanks for your lovely feedback! I’m absolutely chuffed to bits with your zero-error, first attempt success. I’m glad we helped you to become more comfortable with our funny, British ways on our overcrowded, left-handed roads. Give us a wave if you see the Lean, Green, Teaching Machine passing by. 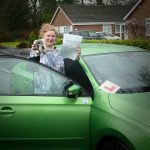 I learned to put aside my anxiety and fears of not being able to pass my test with help from Stephen and passed first time! Highly recommend! Not only did you pass first time (which is cool enough) but you came back with a clean sheet! No driver errors at all. Jolly well done, chap. Proud of you. Thank you, Mariya! It’s been fun. Glad you enjoyed working with me and that we got that excellent pass! Be proud of that #DVSABlue! Have an excellent couple of terms at med school and have a great summer afterwards. I would recommend Stephen to anyone. He made me into a happy and confident driver despite starting my journey a very anxious and worrisome one, fretting I would never enjoy driving. I passed first time and am loving my new found freedom getting out to places with my young daughter. Stephen is a very intuitive, friendly and kind instructor and it was a pleasure learning to drive with him. Thanks for your lovely words! It’s been a pleasure working with you. You were so concerned about learning to drive, yet you turned out to be one of the quickest of learners and most natural of drivers. I still owe you the last couple of hours of Pass Plus. Let’s get that bedded down soon. Today I passed my driving test with zero minors, I’m extremely happy with how far I’ve come! I occasionally lacked in confidence when driving but Stephen Bell from Autoscholar helped me build my confidence as well as emphasise the importance of road safety. He is a great driving instructor, always punctual and so professional, I will definitely recommend to family and friends! Thanks for your super feedback. Your clean sheet test result is absolutely brilliant! A one-in-four-thousand outcome. Cannot congratulate you enough! Good luck finding a new car, and call me soon about Pass Plus. Stephen I cannot thank you enough for your impeccable professionalism, stickler for detail and methodical thoroughness. Without you it would it would have been mission impossible. Thank you for your patience and support . Best instructor ever ? Thank you so much for your lovely review! It was so much fun working with you and you thoroughly deserved your precious #DVSABlue! I am very late writing this review but I wanted to do it because Stephen genuinely deserves it. He is a phenomenal teacher, he really listens to you, is patient with you, teaches according to your learning needs, style and pace and always keeps your best interests in mind. Stephen will explain something to you as many times as it takes for you to understand. He will quickly recognise your strengths and weaknesses and focus on your weak spots when teaching until you have perfected them. He also makes you feel confident in yourself and does not shy away from praising you for your driving strengths. Stephen’s goal is not to just make you pass at your driving test, it’s to make sure that you are a good and a safe driver and he will do his utmost best to make you that driver. I would highly recommend Stephen as when comparing him to other instructors he really goes the extra mile. Absolutely worth the money. I have passed and have moved back down to busy London and not flinched once driving here because Stephen has made me a confident and a safe driver. Gutted I did not get the opportunity to do the pass plus with Stephen at this juncture. I would also recommend this with him as finding someone who will make a new driver so comfortable on motorways is probably a rare find. Blimey, Riz! That’s one heck of a piece of feedback! Thanks for your extremely generous comments. I very much enjoyed working with you and your commitment to your learning was, well, phenomenal! Keep safe dahn sahf, and come back and do your Pass Plus when you’re ready, eh? This is a bit delayed review as I passed my test in April, but I wanted to make sure to leave a review as Stephen is REALLY a great instructor. He is very professional and patient, and I even passed the first time and I was terrified of driving. Thank you very much for your super review! I’m so pleased that we got the result for you and that you’re no longer so terrified of driving. Now, about that Pass Plus course…? Stephen is a great teacher, not only did he teach me to drive but also how to drive responsibly. I can’t thank him enough for helping me pass the practical driving test! As an international driver, obtaining a British driving licence seemed too daunting. 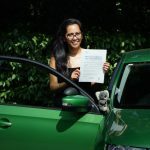 I was anxious and completely overwhelmed with the challenge of mastering skills required to drive legally and safely in England. His calm approach to teaching really put me at ease. He was acutely aware that I needed reassurance to build my driving confidence and always ended each lesson with a positive comment. He will always go the extra mile to ensure his students pass, he picked me up extra early to prepare me for my morning test too. I can say without a doubt that I wouldn’t have passed the practical driving test without his expertise and gentle guidance. I couldn’t recommend any other person more! If you’re planning on driving Stephen is the best. Thanks again! Thank you for taking the time to write such a kind review. Congratulations on your success at the driving test! I never thought I could learn driving in a very easy and stress free conditions but working with Steve made the learning process very easy, he made my confidence level very high and he taught me how to be a safe driver on the road, from start to finish he made my driving experience was enjoyable . I would recommend auto scholar for anyone that want to learn how to drive. I am very grateful for your fantastic support. Hi Temmy, thank you so much for your kind comments. 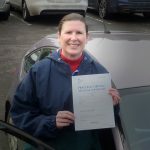 It was fun working with you and I’m delighted that you won your DVSABlue – especially after the ice put paid to your original test appointment! My Instructor Stephen was extremely professional. Thank you for building my confidence and improving my techniques. I enjoyed every session and learnt something new each time. Stephen’s patience and expertise very much appreciated. His style of training is clear, informative, practical and put me at ease right from first lesson. I would defintely recommend Stephen from autoscholar to all my friends !!! Hi Basanth! Thank you very much for your kind comments. Your pass with just one minor error is a great result – congratulations! Shall we do Pass Plus soon? And thank you for recommending me to Sujith! I think he’s had an interesting time since you put him in touch with me! Based on the recommendation of a friend, I contacted Stephen from autoscholar. My overall experience with Stephen was a very pleasant one. Everything was very simple to arrange and taken care of in a professional and friendly manner. I was always aware of what was happening. In fact, he is the very best one I have ever had and there have been several over the years. I give full credit to Stephen personally and his teaching methods for the reason why I finally passed. He was patient whilst encouraging you to challenge yourself in order to gain the much needed confidence and knowledge required to be out on the road alone. I like way he de-codes the roundabout signs and the manoeuvre in much simple and and effective way that you will get it right all the time. He is very easy going and because he provides a relaxed environment for you to learn in, this gives you the freedom to really take on board what he is trying to teach you. And when you get it right, he is absolutely full of praise! Which is exactly what I needed to hear as sometimes my anxiety is all over the place. He was a pleasure to learn with and comes with my highest recommendation!! Thank you Stephen for helping me to achieve my licence. Thanks for your lovely review and five stars! I’m so pleased that you’re so happy with the way we worked together and with your test pass! We’ll see you in September for Pass Plus. Meanwhile, enjoy your summer holidays. I have never in my life thought that I will be able to drive a car. 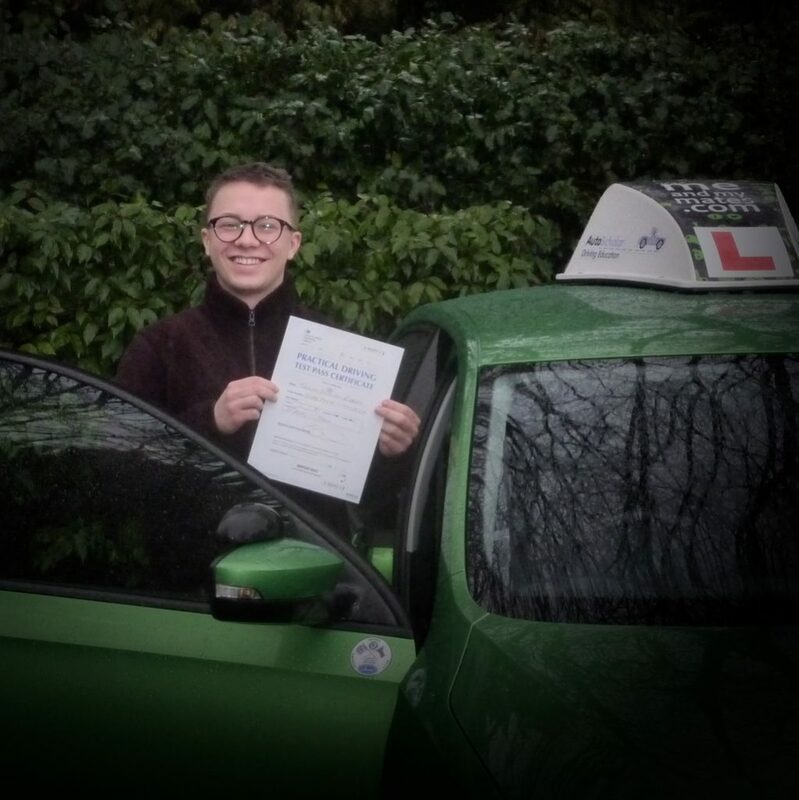 Stephen gave me the confidence, helped me to learn how to drive, be a safe driver and enjoy driving. His teaching skills are marvelous, he is a born teacher. If you are looking to learn how to drive for life there is no better school then this. For Stephen he is punctual, caring and dedicated teacher who teaches in systematic way making driving easy. I would highly recommend him always. Thanks, Sharifa! What lovely feedback! It was always fun working with you and you got the job done. Safe driving for life. Stephen is a superb instructor. I am very pleased to work with him. Thanks to his experience and systematic methods, I got a PASS first time with only a few sessions. Strongly recommend to others. Stephen is an excellent instructor. He is patient and thorough. He teaches in a methodical way and he helped me pass first time. I would happily recommend him to family and friends. When I first started learning I was extremely nervous about driving and scared that I wouldn’t be able to pass first time, however when I met Stephen, he provided me with excellent 5* quality lessons and made me feel calm and at ease. At first I struggled to understand “how to car” (phrase me and Stephen used frequently) but I am very grateful for his fantastic support, patience and knowledge he has passed on and provided during my experience. Highly recommended! 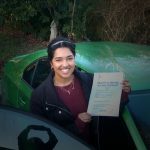 I passed first time with only 4 minors and feel truly grateful for the guidance provided. Thanks Stephen! – David. Hi David, thanks for taking the time to leave this super feedback. It’s been a pleasure to work with you. Those last couple of weeks of moderately intensive work really helped you over the bar, didn’t they? You’ve developed a good understanding of traffic dynamics and hazard development. Keep on learning! See you soon for some post-test development work. I cant thanyou enough for your dedication and support given to me well taking lessons with your company, fun guy and great personality putting me at ease. I would highly recommend stephen bell from autoscholar. Dont look anywere else but autoscholar. Kindest of regards. Thanks for your kind words, Steven. Your one-in-four-thousand result of zero driver errors speaks for itself – a model student and an attentive driver! A pleasure to work with you. Now, when you’re ready, Pass Plus! An complete star in his teaching methods, adapted them to meet the needs of a complete novice, insecure and panicky wreck! Managed to turn me into a fully passed driver and I commend his patience and teaching techniques, always on time and always willing to help my ways of understanding. Highly recommend this instructor but book fast as he is much sought after! Thank you Stephen! Thank you, Fee! So, so pleased we were able to work so well together. Many congratulations on your much-deserved success. This is just the start of becoming an expert driver, though! See you for Pass Plus.